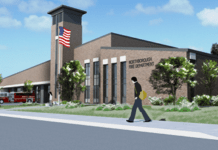 Northborough/Southborough – The towns of Northborough and Southborough will be holding their respective town elections this year on Tuesday, May 9. The Community Advocate has invited candidates running for the Board of Selectmen races in each town to submit a statement about why they are running for these positions. Candidates who have replied have had their statements printed in previous issues of the Community Advocate and are available for viewing at www.communityadvocate.com. In Northborough, four candidates – incumbents Jason Perreault and Dawn Rand, as well as political newcomers Tim Kaelin and Brian Strand – will be vying for the two open seats on the Board of Selectmen. Northborough voters should take note that the town election will be held on a Tuesday this year as opposed to a Monday, as it has been in the past. The polls will be open Tuesday, May 9 from 7 a.m. to 8 p.m. In Southborough, five candidates – incumbent Daniel Kolenda, Lisa Braccio, Sam Stivers, David Parry and John Wood – are running for two open spots on the Board of Selectmen. In addition, incumbent James Hegarty and William Boland will vie for the Town Clerk position. Southborough polls will be open on Election Day from 6:30 a.m. to 8 p.m. To verify your voting location, use this link: www.wheredoivotema.com.